Even if you're not a Kim Kardashian: Hollywood maniac like the rest of the world, you can appreciate the cold hard cash the game is making. Which is apparently a lot. A lot of cold hard cash. And the hot sales have continued. The game is now the fifth highest-grossing game on Apple's App Store. The company said it expected tens of millions of people around the world to download the game on their iPhone or Android phones, even through the game is available only in English. While the instant popularity of the game will settle out a bit into more regular sales, as Bloomberg previously reported, one analyst believes that its annual revenue could get as high as $200 million. "We now expect to generate more revenue in the second half of 2014 than we did for the entirety of 2013," said Niccolo de Masi, Glu's chief executive. 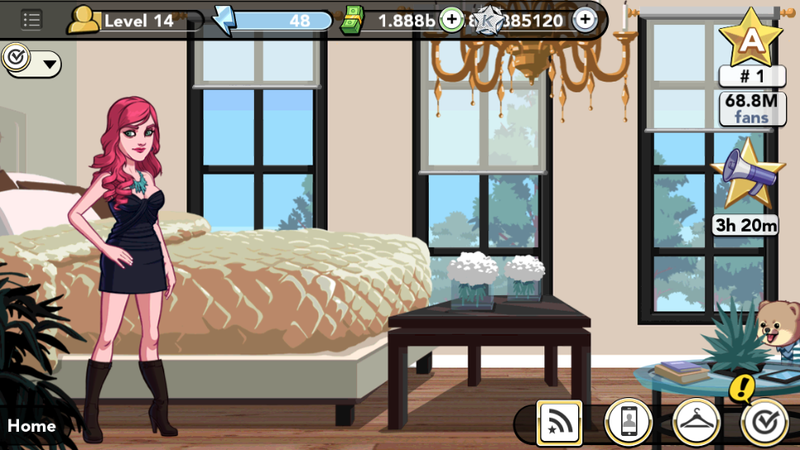 This is when I [insert some joke from Kim Kardashian: Hollywood here/thank my lucky stars I haven't gotten addicted to this behemoth and bankrupted myself].